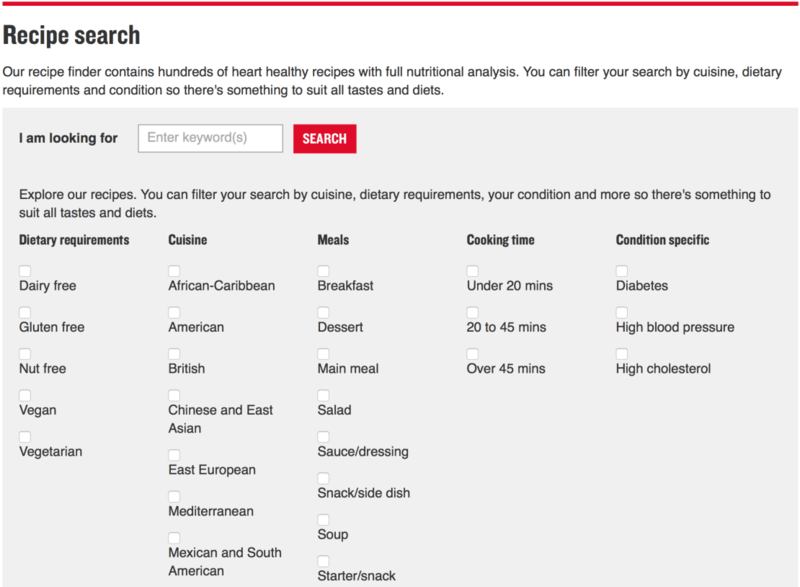 Search for recipes using the recipe finder on the BHF website. It is the responsibility of each individual to check recipes to ensure that no ingredients or combination of ingredients is likely to be inappropriate for their diet. This tool does not replace advice given by your doctor or dietitian.